Doro Search is here for any business leader who needs to delegate executive level responsibility to others, so that they can get down to the business of growth and progress. 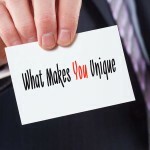 We are ready to connect exceptional talent with your company. We are a leadership partner for businesses seeking a confidential and trusted Executive Talent Acquisition firm. and search capabilities to find that perfect executive team that will capture your dream then apply the practical details that will make it work.